From reading the title of this post, you’re probably thinking that I am going to list some surgical specialties, interventional cardiology, or gastroenterology since these specialties bring in financially lucrative procedure volume to the hospital. So what I am going to say is going to surprise you. I’m going to make the argument that the 3 most valuable specialists in your hospital are geriatrics, infectious disease, and nephrology. I know what’s going through your mind right now: “What in the world is he thinking about?”. Well, let me make my case and then you decide. And it all starts with CPT. CPT codes, or the Current Procedural Terminology codes, are the coding numbers that are assigned to every service and procedure that a physician does, from an office visit to an appendectomy. So for example, CPT 99221-99223 code for the 3 different levels of new inpatient encounters and CPT 99251-99255 code for the 5 different levels of inpatient consultation encounters. For decades, those consultation codes charged by a specialist paid more than the standard new patient encounter codes that would be charged for an admission history and physical examination by a generalist. This makes sense – if you are a specialist and providing a specialty consult opinion drawing from your additional years of training and experience, you should be paid more than the generalist doing a standard history and physical exam. But on January 1, 2010, Medicare got rid of the consultation codes and required specialists to use the same CPT codes that the generalists were using for the admission history and physical exam. The net result of that decision was that cognitive specialists (i.e., those that do not have a procedure that they do) saw a significant drop in their income compared to the procedural specialists (i.e., those that do a procedure, like cardiac stress testing or colonoscopy). The three subspecialties that were affected the most were infectious disease, nephrology, and geriatrics. Every year, the Medical Group Management Association (MGMA) publishes the starting salaries for physicians in their first year after completing training. In the past, specialists made more money than generalists. It makes sense… if you do an extra 2-3 years of training as a subspecialty fellow, you should expect a return on investment for that training and so you should expect a higher salary. But since the elimination of the consult codes by Medicare, some specialists, namely those that don’t involve doing lucrative procedures, have seen their salaries drop to the point that there is no longer any return on the investment of the extra years of subspecialty fellowship. Here is the most recent data from the annual MGMA salary survey from 2015 (based on data from 2014). With general internal medicine, family practice, and hospitalist medicine, all you need is 3 years of residency and you are ready to start practicing. For all of the other specialties, you have to do 2-3 years of additional fellowship training. 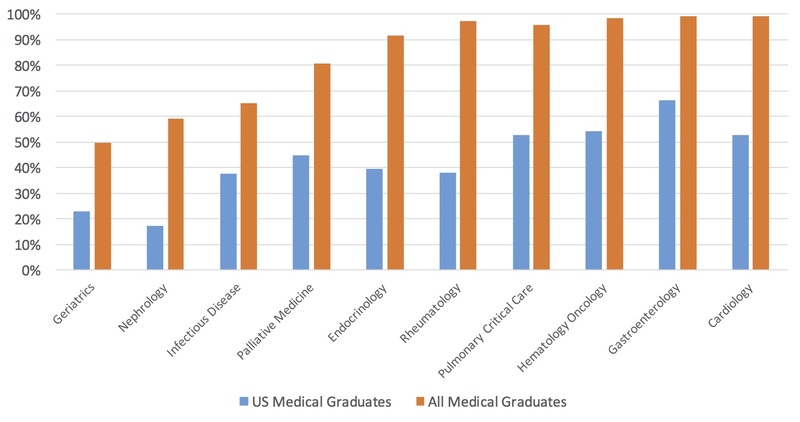 For infectious disease and nephrology, there is no salary advantage to doing those additional years of fellowship training (geriatrics is not listed in the MGMA report but their salary is typically similar to general internal medicine). In fact, the cost of doing the additional years of fellowship training is that you are going to make less than a family physician or a hospitalist who stopped after 3 years of residency. For any of my colleagues in academic medicine who are looking at these numbers and saying, “I don’t make anywhere near that amount even though I’ve been practicing for years”, relax. The MGMA data is largely derived from private practice physicians and not academic physicians and as has always been the case, you make a lot more in private practice than you do in academics. All of this has not gone unnoticed by medical students and residents when choosing a subspecialty. Recently, the National Residency Match Program released the results of the 2016 resident and fellow match. 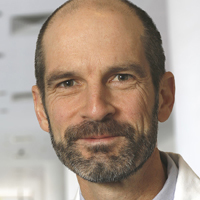 The results paint a frightening picture for the future of the cognitive specialties. This graph shows the percentage of available fellowship positions that were filled by graduates of American medical schools (blue) and the percentage of fellowship positions filled by all applicants, including foreign medical graduates (orange). In keeping with the starting salary data, residents just are not going into geriatrics, nephrology, or infectious disease. There is simply no return on the time investment of doing a fellowship. So what does this mean for hospital medical directors? Geriatricians, nephrologists, and infectious disease specialists are going to become increasingly scarce. It is going to be harder and harder to recruit these specialists. Of equal concern, there is a danger that the best and smartest residents will be drawn to the other specialties, resulting in an overall drop in the caliber of the new cognitive specialists in future years compared to past years. We are fortunate at our hospital. The Director of the Division of General Internal Medicine and the Chairman of Internal Medicine have placed a high value on geriatrics. We have great nephrologists and one of the premier interventional nephrology programs in the country. And 2 years ago, the Director of the Division of Infectious Disease recruited one of the best clinicians I know as our hospital’s lead infectious disease specialist and director of hospital epidemiology. If you have a good geriatrician, a good nephrologist, or a good infectious disease specialist, take good care of him or her because he or she is going to be hard to replace. And when you have strategic planning meetings with your hospital business leaders, speak up for these specialties because hiring them now before their supply drops further is going to be a good long-term business decision. 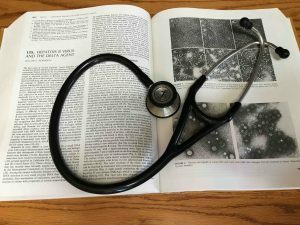 For medical students who have always dreamed of a career in one of these specialties, take heart, because in a few years the invisible hand that governs the law of supply and demand in capitalism will cause their salaries to rise again in the future.